Last Tuesday night Montreal’s most fashionable and socially savvy footwear lovers decended upon Browns Shoes St. Catherine Street location to celebrate the launch of a special collaboration between the footwear retailer and TAVA, a local (and very successful) artist who has added a little pop personality to the classic Stan Smith shoes by Adidas. Antoine Tavaglione (better known as TAVA) is a pop artist known throughout Montreal for his creative murals and now he is bringing that creativity to a much smaller scale. 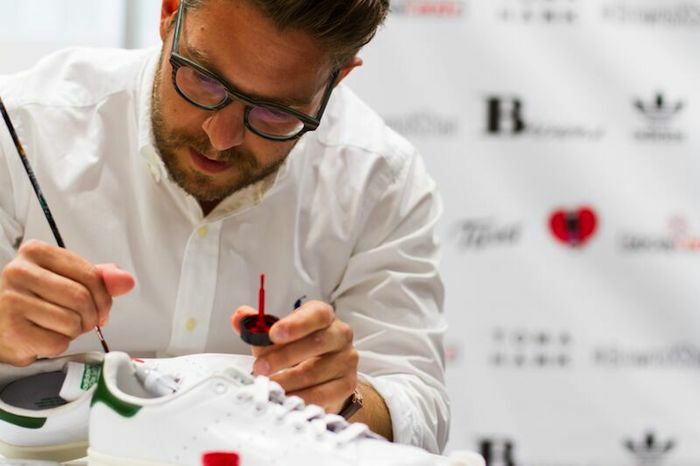 The artist has a teamed up with our country’s footwear leader, bringing 10 exclusive designs to Browns stores across Canada. Already a big hit here in Montreal, the shoes will no doubt quickly be adding a pop of colour to wardrobes across the country. 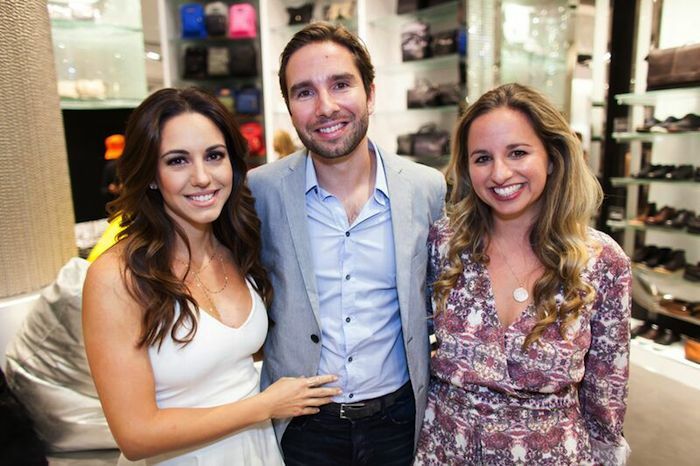 The party, which was thrown at the Browns Montreal flagship location, was attended by TAVA and his crew plus a slew of Montreal’s media, local personalities, socialites and fashion enthusiats. DJ Toddy Flores set the soundtrack for the night while the Tomahawk team (the guys behind Dolcetto and Santos in Old Montreal) provided delicious canapes and exclusive cocktails to keep us going all night. TAVA X Stan Smiths are now available at all Browns locations and custom orders can be made in the coming weeks.